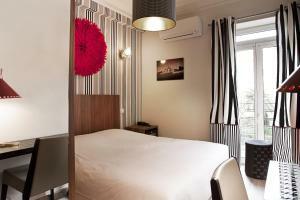 Brice Hotel is located in central Nice, just a 5-minute walk from the Promenade des Anglais and the beach. It offers a sauna, a solarium and a garden with a fountain. Each guest room at Brice Hotel is equipped with satellite TV, a mini fridge and a work desk. Each has a private bathroom with amenities and a hairdryer. Some rooms have a bathtub and a view. A buffet breakfast is served in the breakfast room every morning. On sunny days, guests can enjoy a drink from the hotel bar on the terrace under the orange and lemon trees. 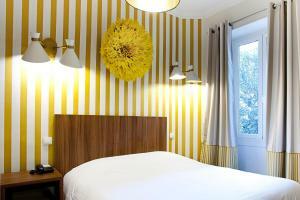 The hotel is just a 10-minute walk from the tram line and Nice’s central train station. It is ideally located for exploring the city and nearby town such as Monte-Carlo and Cannes.